We are just steps away from Rockefeller Center and Madison Avenue. 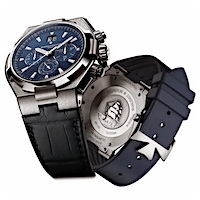 Ship your watch to us insured, we'll service and send it right back. We specialize in all luxury watch brands. Bring yours in today or call. Bookmark us on yelp or google to find us when you need us. Mark Livak, Expert Watch Repair and Restoration in Manhattan, NYC.